Oh Gilt Groupe: Just when we begin to sense a backlash, you find a way to win back the world's love. Today, the App Store features the new Gilt iPhone application, which debuted about two weeks ago. 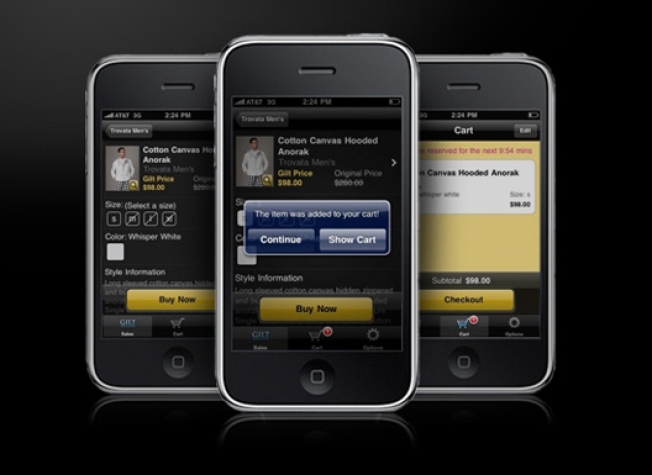 Called "Gilt on the Go," it lets you shop and check out directly from your iPhone. You can also use it to receive sale alerts and preview upcoming sales, so basically you have no excuse not to be shopping at all times.